So after the mclaren glitch I have done a whole season fully upgraded my engine power and have noticed a massive improvement I can actually hold cars off and pass cars on straights etc. However my teammate Alonso will get passed by every car on the grid, cars like Saubers and Toro Rosso's who have slower cars than me now will rocket past him and when he's in DRS etc will be losing ground to almost everyone. Even when I come up behind him on a straight I can put it in lean revs and almost coast by him. I feel like the engine upgrade bug still persists for my teammate as in qualifying he gets consistent top 10 but will drop to the back of the grid immediately within five laps of the race starting and get passed by almost everyone whenever there is half a straight? Either this bug persists still with mclaren engine upgrades for AI cars or for some bizarre reason he is so much slower in the race compared to other cars than qualifying but why is this? This is an issue we're aware of and that we're looking in to. I will update you when there is anything to report. On the 25th of September you were already aware of this bug. Why isn't it fixed in 1.8? Where are you?????? This is the way of the Codemaster threaten your costumers??? It's a complex problem unfortunately, so my response above still stands I'm afraid, I have no update to give you yet. I appreciate your frustration but getting angry isn't going to help anyone. With all due respect on this issue as we are told there are certain things in game that is restricted by rules and by teams and by f.o.m...i.e driver transfers/ limited damage model and the like. so surely this can't go down well with the respected people involved having a 2 time world champ in fernando Alonso being made to look an amateur while us the player in the same car and other drivers no were near he's talent are hammering him week in week out no matter the circuit apart from Monaco but even that's only because that track is notoriously famous for minimum overtakes. You could inform us it wasn't going to be fixed in 1.8. I've desperately waited for 1.8 because of that bug and was under the assumption it was in the patch. I'm not the only one who thought that. So again, better communication prefents people being disappointed and angry. Any ETA when it will be fixed? It's a huge gamebreaking bug that is here since launch 6, 5 weeks!!! ago. Agreed especially if its all teams not just mclaren practically breaks career since if you take a car from bottom to top you will have no chance in he constructors. Start with a top team your team mates going to be easy to beat and he will fall behind very quickly. Just as I was really getting into my career aswell! The problem is communication! We feel abandoned here in this forum. You take days without showing up here and giving us feedback. This problem is what I hope to be corrected. I'm 2 weeks or more looking forward to this patch being released and when it finally is, it does not come with the fix I most expected. If this had been warned before, people would be upset, but we would understand. 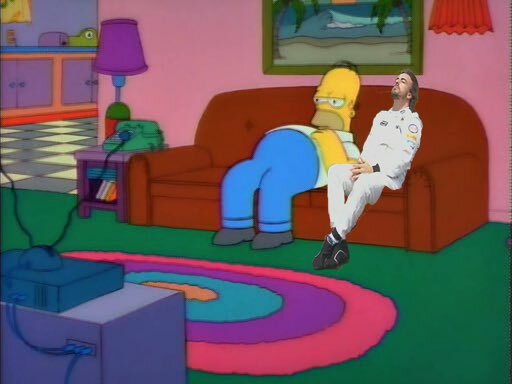 A general performance increase for Mclaren would be nice while you're at it. They should be matching Haas and Toro Rosso at least by default. They've been regular Q2 and lately regular Q3 contenders all season so they shouldn't be half a second away from Q2 every race by default. Yes I am frustraded atm, and I will tell you why. I wouldn't get angry if you kept us up to date on what is happening instead of all of us who bought the game trying to figure what's going on and we hear silence from codemasters. If we heard more from codemasters everyone would benefit, there would be less messages asking what's going on, and you wouldn't need to come on here saying we are all being angry and going through all the posts asking "Is it going to be fixed/What's Happening with this issue/ ETA for a fix, etc". So... @F1Support. What's the newest information? Do you think it can fixed. If yes, do you have an estimate for it? That's the kind of information we need. If you don't have the manpower for it, just hire some more people. I can tell you that it's not going to be fixed in 1.9 on console (nor PC which is already live). Otherwise there is nothing further to report. Can we get a an update on anything? It seems like your brushing this problem under the carpet. 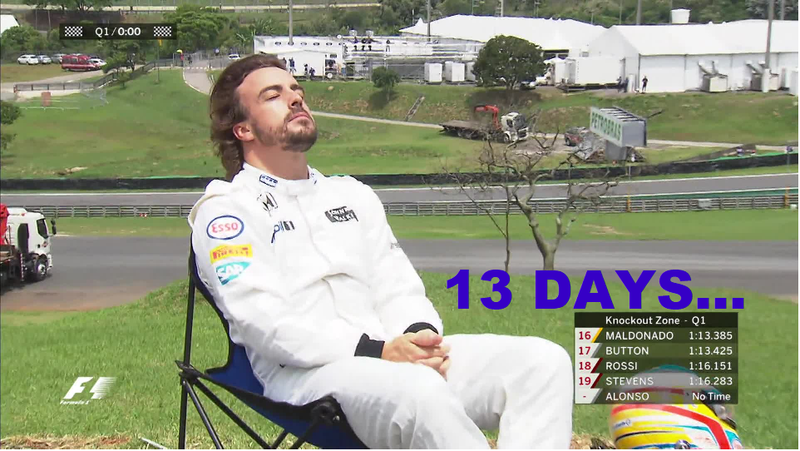 Day 15, Codemasters cannot find Fernando, or maybe they're not looking hard enough? 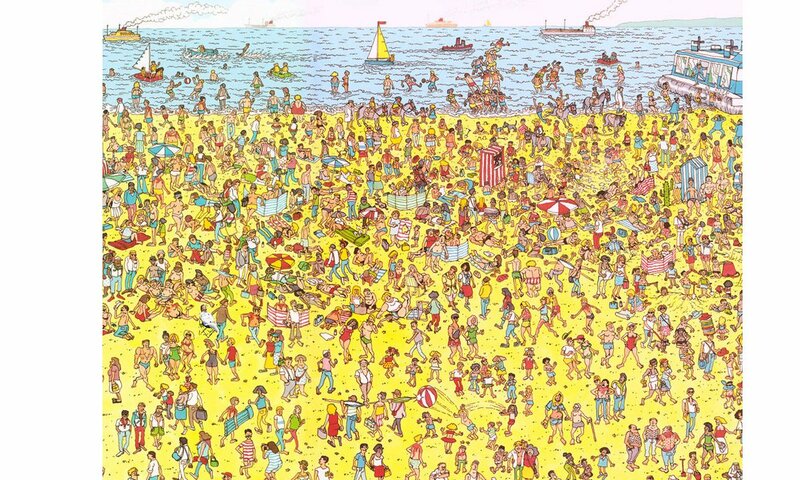 Can you find Fernando? *T&C apply, the prize will only be given if codemasters actually fixes the problem. Subject to many weeks of waiting. @F1Support Its 1 week from 1 MONTH LATER, what is there to report on this bug? Yeah @F1Support there must be something to report by now... Or is the report that there are too many bugs to report on? 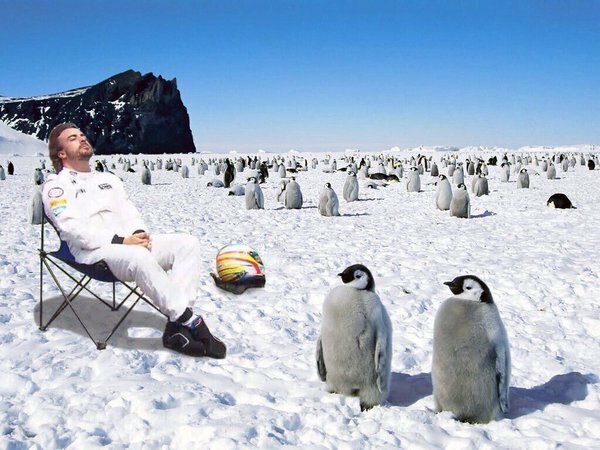 Fernando isn't finding any answers from Codemasters, so he decides to take a trip to the South Pole and maybe the penguins have a solution?